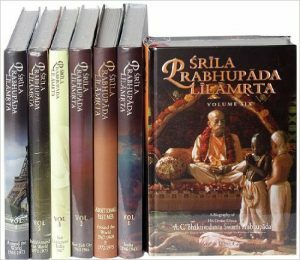 Srila Prabhupada wrote “Krishna Book” before he had even fully completed his translation and commentary on the Bhagavatam. He wanted people to hear about Krishna the person and His activities, in English, from an authorized representative of the Krishna-bhakti tradition. As he mentions in his Introduction, this was so they wouldn’t risk mistaking Krishna to be just another human being and his pastimes as mundane adventure/romance stories. It should be said, however, that fans of adventure and romance will find nothing lacking in this contemporary recounting of Krishna’s activities. Krsna (pronounced “Krishna”),The Supreme Personality of Godhead, is a summary study of the tenth canto of the Srimad-Bhagavatam. 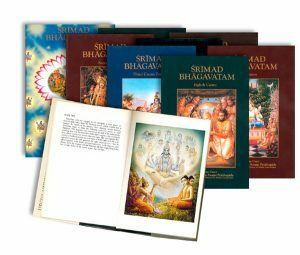 The Bhagavatam is an encyclopedic, 18,000 verse text—divided into twelve Cantos—chronicling many of Krishna’s various incarnations over the millennia. 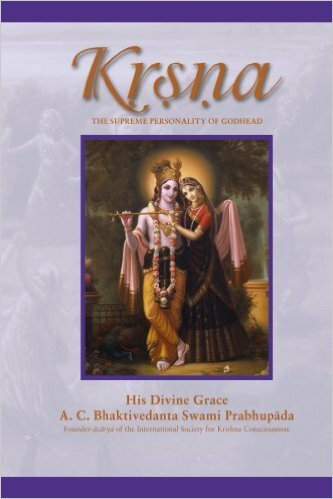 It also describes the creation and cosmography of the material universes, and the lives of many pure devotees of Krishna and how they attained perfection. Ultimately, the Bhagavatam’s Tenth Canto focuses on Krishna Himself and His activities when He appeared on earth five thousand years ago. Behind all the omnipotence and majesty, in the ultimate issue, the Tenth Canto shows that the Supreme Person is the all-attractive, fun-loving, perfect reciprocator of all varieties of loving relationships with His dearest devotees. 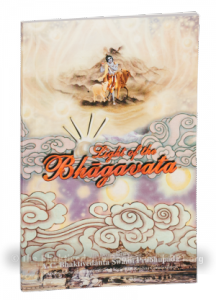 “Light of The Bhagavata” provides a unique perspective in understanding nature through the lens of the Vedic philosophy and reveals many instructive lessons through a commentary on natural phenomena.